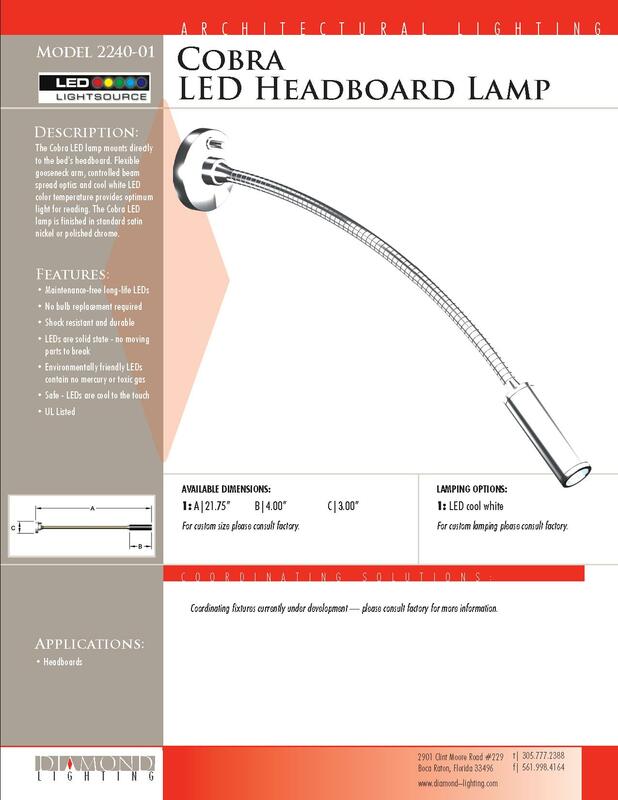 The Cobra LED lamp mounts directly to the bed's headboard. Flexible gooseneck arm, controlled beam spread optics and cool white LED color temperature provides optimum light for reading. The Cobra LED lamp is finished in standard satni nickel or polished chrome.